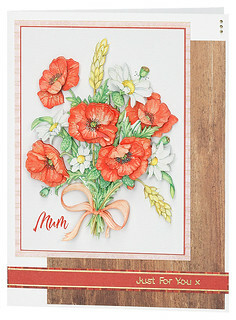 DCD667 Cornfield Poppies Die-Cut Découpage. CP310G Red Mottled Stripes With Gold Foil Creative Paper. PKBP904 Tartan Patterns Mixed A5+ Printed Background Paper Sheet Pack.